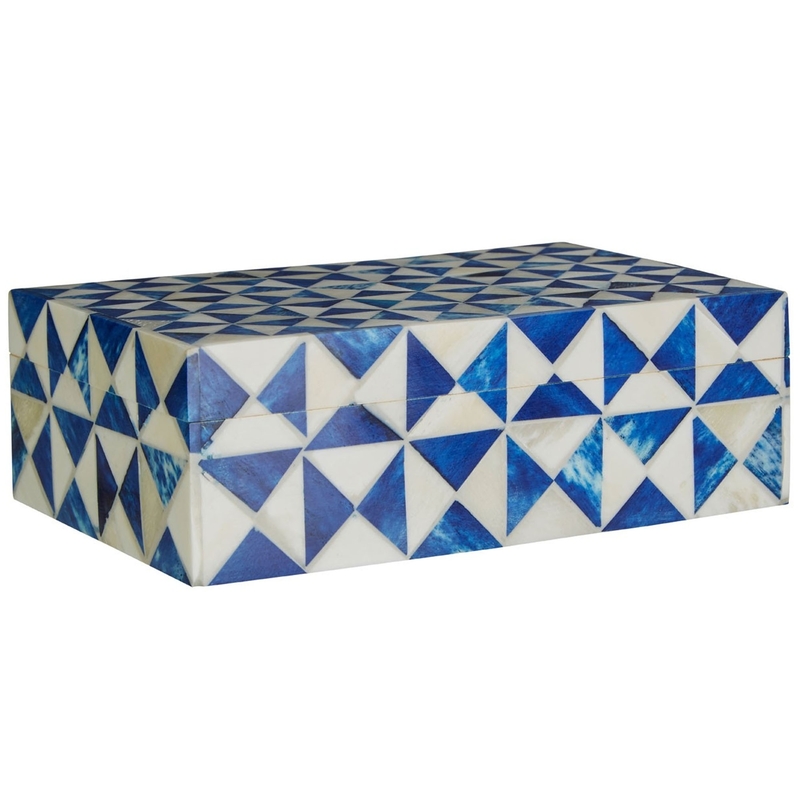 Make your home feel a lot more modern and furnished by introducing this beautiful Bowerbird Small Blue Trinket Box. This trinket box contains a lovely diamond design that is given a blue and white colour. These colours combine perfectly into a very elegant and eye-catching piece that'd look perfect in a bedroom or living room.